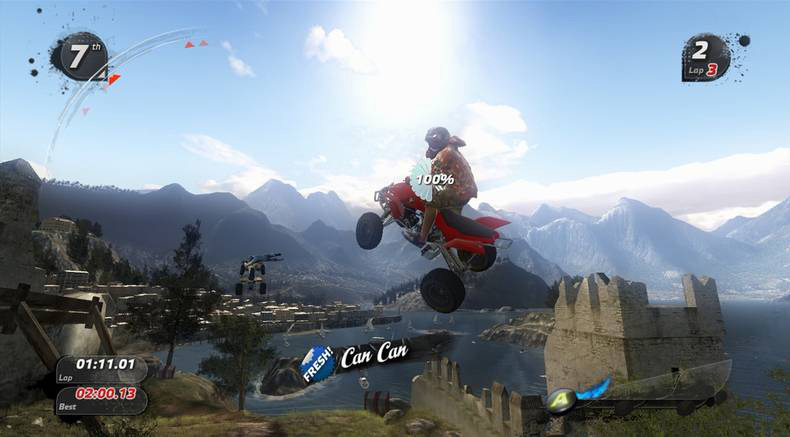 Extreme sports and off-road racing have become more and more popular themes in videogames, and while PURE seems to be at first a racing game, it becomes clear in the first few minutes that it could be more comparable to SSX or Tony Hawk than any racing title we can think of. 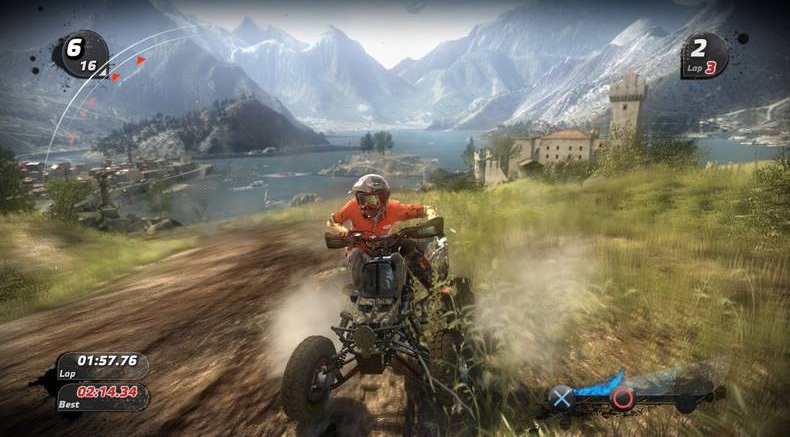 PURE could be easily described as an ATV trick/racing hybrid, since it does balance both aspects well enough. Not only the game focuses on getting to the finish line first (just like any racing game), it also throws at you the fact that if you don't pull off those tricks, chances are you won't get to the finish line first. 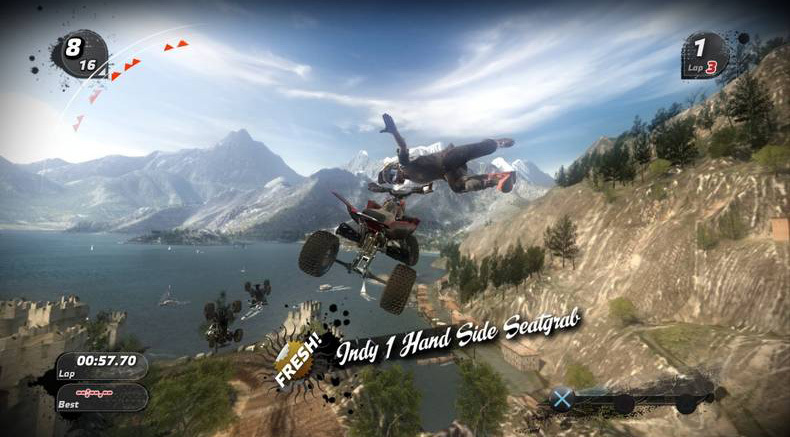 The game begins with a step by step introduction, explaining the mechanics, teaching you tricks and making you familiar with the tracks in tutorials of progressive difficulty. I have to say, I was more interested in looking at my surroundings than learning the tricks and their respective controls. The landscapes are truly impressive, be it desert, forest or snowy. As for the details, it's hard not to look at the foliage moving in the wind, the dust trails left behind the racers or mud splattering everywhere, the rider's clothes flapping in the wind. The game oozes detail and realism, all so well done and without any frame rate slowdowns. The game is pure eye candy - no pun intended here, though. The attention to detail is even more impressive in the building and customization of your ATV, which allows you to customize your ATV from scratch (everything from parts to colors and stickers), with a good voiced tutorial and interesting interface. As for the actual gameplay controls, I have to say I was never good at trick-based games, but step by step, I got the hang of at least the basic tricks here. 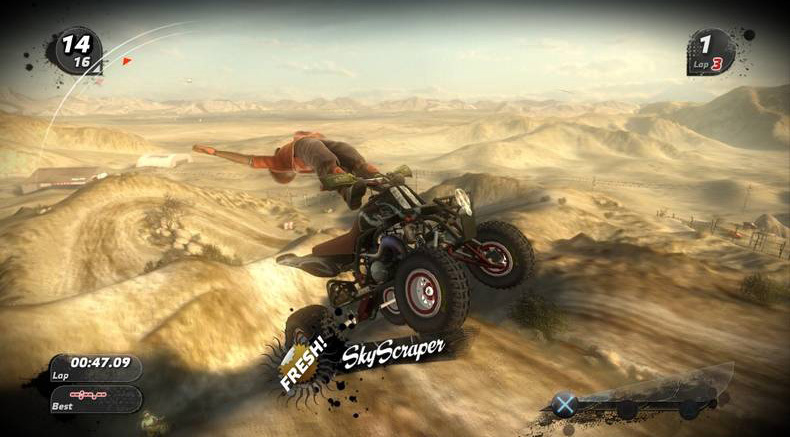 And even then it's impressive just to watch as you zoom off a cliff and spin around on your seat or do a hand plant. The camera is set so that you enjoy the moment as you watch your racer perform these moves in slow motion. You use the left analog (or D-pad) for steering and jumping. R2 and L2 and respectively your gas and brakes. Tricks are done by pressing X (basic), Circle (advanced) and Triangle (pro) plus any direction on the analog. 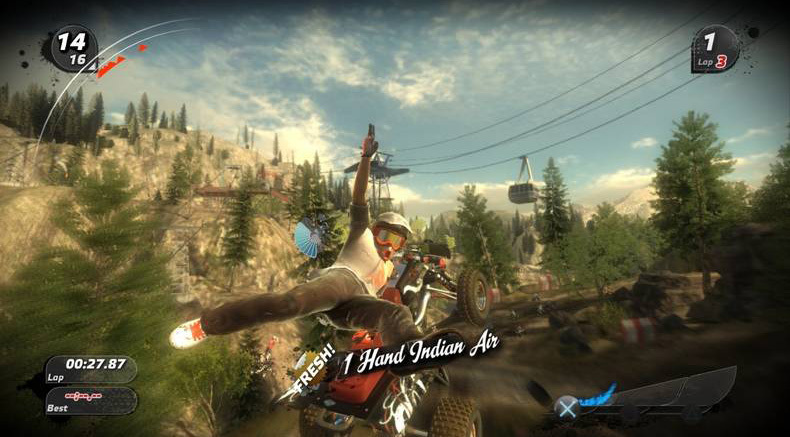 R1 and L1 are used to tweak your tricks in mid-air. Press R1 and L1 simultaneously to do a special trick. It's not too bad as a pick-up-and-play scheme, and while the basics are easy to understand, there is enough here to appeal to the genre enthusiast crowd. The reason why tricks are so important and blend into the racing aspect is because of the boost. 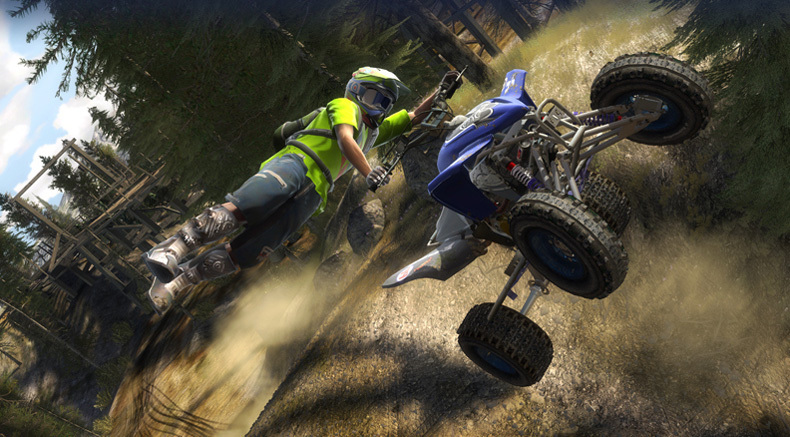 Although you can race without doing tricks, your performance won't be as effective. Performing successful tricks will gradually fill up the Boost meter, which is basically your nitro. When the Boost is full, you can perform your special trick, which means you can use it for a temporary speed increase, do your special, and fill up the meter again. For each of the three trick categories (basic, advanced and pro) there are 16 unique tricks, but these are unlocked as you play through the World Tour, which is your story mode, so to speak. While the first step is knowing your tricks, winning also revolves around knowing your track, so don't be surprised to be losing and playing the same one over and over. This isn't an easy game, and aside from knowing your tricks, you must also rely on your memory to remember where the shortcuts are in each track. While the Xbox 360 version has Achievements, PURE on the PS3 doesn't have trophies. A shame, really, as it would encourage playing it more. 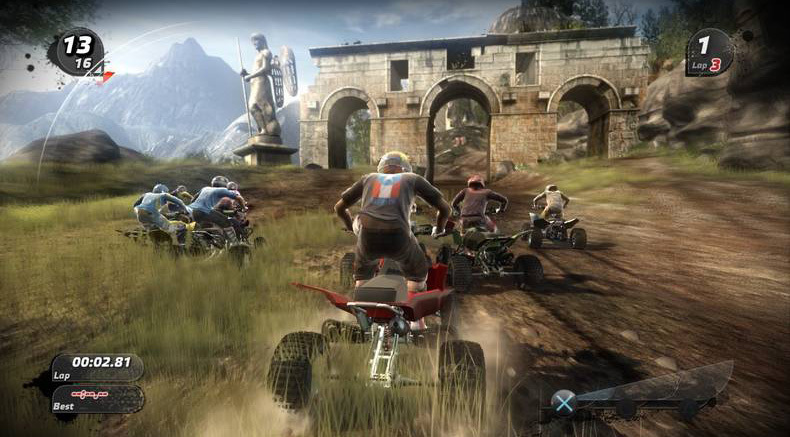 As it stands, it does have a very fun Freestyle multiplayer mode, and a challenging single-player "story". Although the "tricks for boost" concept isn't exactly original, it does add a layer of complexity and strategy to the high-speed racing aspect. 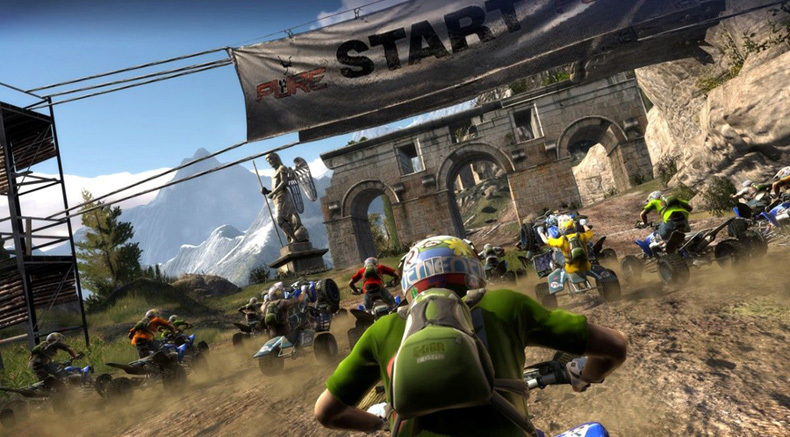 If you're a fan of both extreme sports and racing games, PURE is a must have. Special thanks to Disney Interactive for providing a copy of this title.